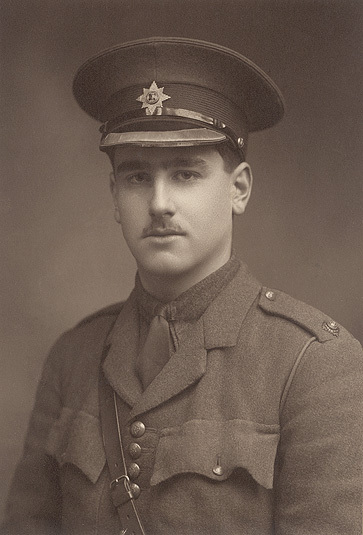 One hundred years ago today Rudyard Kipling’s only son, Lt. John Kipling, was killed in the bloody Battle of Loos in northeastern France weeks after his 18th birthday. He was just one of thousands killed there, indeed just one of thousands killed at Loos whose bodies were not recovered, “A soldier of the Great War known unto God”. And yet his death has a special poignancy. Loos itself was one of a series of offensives that failed of their high hopes as the Allies, like the Central Powers, struggled to overcome the advantages technology had given to the defence at that time. The opening day of the battle, Sept. 25, was the worst in the history of the British Army… until the start of the Somme the following summer. And the offensive was called off on Sept. 27 in the face of its evident futility, but too late for John Kipling. The death hit his father extremely hard. As one might expect, you might say. Or even it served him right, given Kipling’s ardent imperialism including his enthusiastic support for the war that extended to getting John a commission despite short-sightedness that originally saw him rejected by the Navy then the Army. But don’t think having him made an officer was finding him a soft spot; the junior officers who “led from the front” lasted on average just six weeks before being killed or wounded. Do not think, either, that Kipling was a bloodthirsty man who deserved to lose a child over whose grave he could never even weep. (John Kipling’s body was officially found in 1992, but there are doubts about the accuracy of the identification.) Rather, he was a man who loved duty, and who saw the need to fight to protect the things worth defending. Think of Rikki tikki tavi killing cobras to protect children, or read Kipling’s concern that if the West lost its nerve “all our pomp of yesterday/ Is one with Nineveh and Tyre!” And in my opinion Kipling was quite right about the importance of winning the First World War; see my documentary The Great War Remembered for a detailed discussion. It is a very sad sentiment. But not a pacifist one. Barely seven months before his death in January 1936, Kipling gave a speech (“An Undefended Island”, to The Royal Society of St George, May 6, 1935) warning of the menace of Nazi Germany to Britain. And one imagines that had John Kipling been alive and young in September 1939, he would again have found a way to wear his country’s uniform. He was short-sighted physically, not morally or geopolitically.